This miniature figurine, the 1/32 scale was distributed by Delprado. 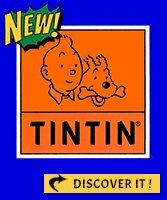 Not suitable for children under 3 years in Belgium (see legislation for other countries). Figurine 'Sheriff' from the collection Wild West distributed by Del Prado. Does not suit to the children of less than 3 years in Belgium (see legislation for the other countries). Figurine 'Farmer' from the collection Wild West distributed by Del Prado. Does not suit to the children of less than 3 years in Belgium (see legislation for the other countries). Figurine 'Chinese railworker' from the collection Wild West distributed by Del Prado. Does not suit to the children of less than 3 years in Belgium (see legislation for the other countries). Figurine 'Joseph Glidden' from the collection Wild West distributed by Del Prado. Does not suit to the children of less than 3 years in Belgium (see legislation for the other countries). Figurine 'Gold prospector' from the collection Wild West distributed by Del Prado. Does not suit to the children of less than 3 years in Belgium (see legislation for the other countries). Figurine 'Gambler' from the collection Wild West distributed by Del Prado. Does not suit to the children of less than 3 years in Belgium (see legislation for the other countries). Figurine 'Buffalo Soldier' from the collection Wild West distributed by Del Prado. Does not suit to the children of less than 3 years in Belgium (see legislation for the other countries). Figurine 'Judge George Maledon' from the collection Wild West distributed by Del Prado. Does not suit to the children of less than 3 years in Belgium (see legislation for the other countries).